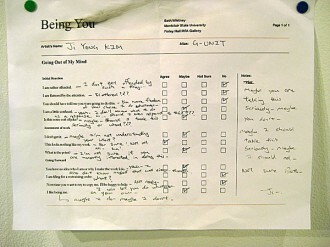 “Being You” was a staged during opening graduate critiques. Required to participate in mounting a three person show in the graduate galleries on a Sunday with an opening group critique the next day, and feeling like a bit like an impostor in a painting-centric show, I decided to produce two paintings, each one created during an attempt to impersonate the other two exhibiting artists. 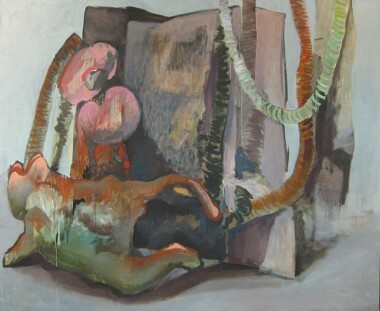 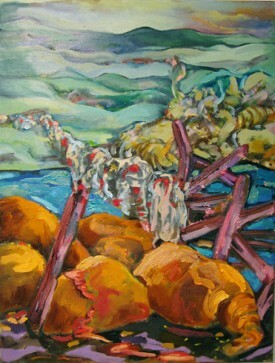 During the eight hours devoted to each performance in the studio I adopted what I imagined were the creative approaches, aesthetic considerations, painting techniques, subject matter, and work habits of each fellow artist. 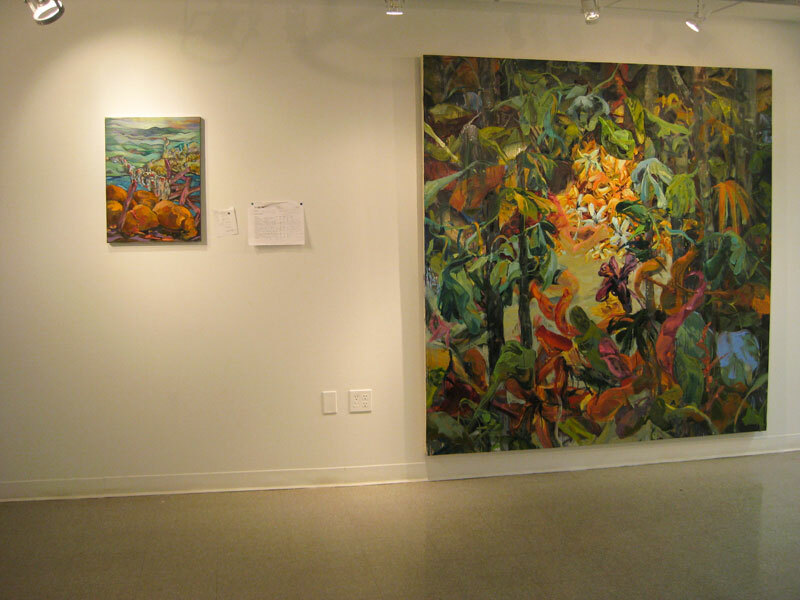 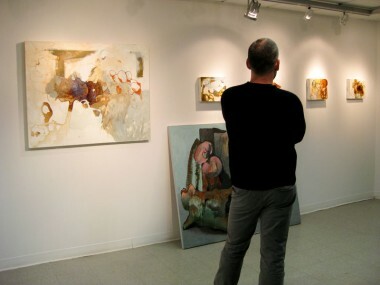 The finished work was surreptitiously hung alongside their already-installed paintings just before the show opened. 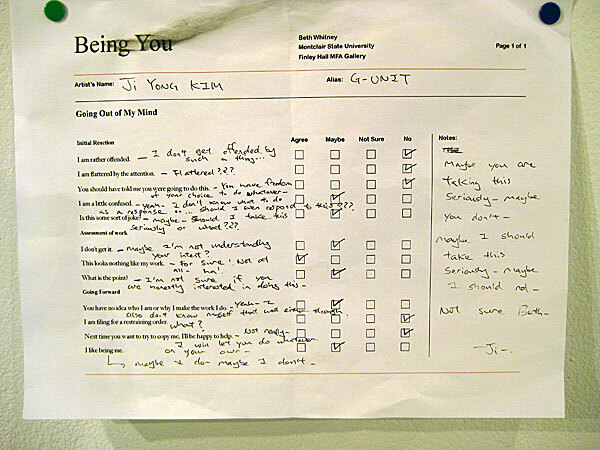 Both artists upon entering the gallery were asked to fill out a multiple choice questionnaires that catalogued their reactions to walking into a gallery and seeing someone else’s work misrepresented as their own, specifically how they felt about someone else trying to copy their style, and whether or not the performative aspects of being impersonated contained enough value to offset that act’s social disruption.